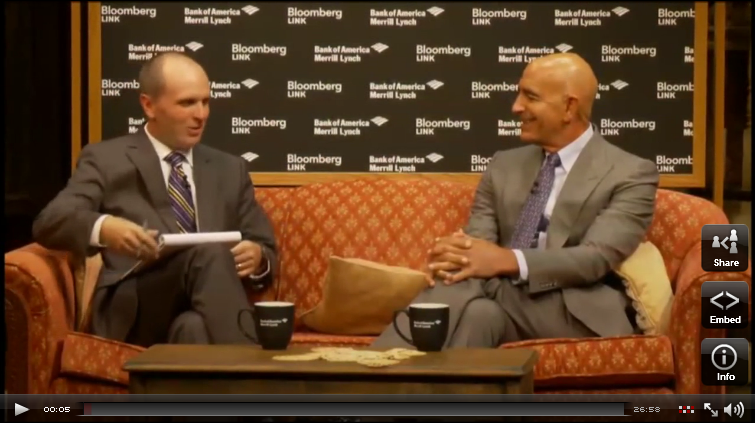 Tom Barrack of Colony Capital on what’s really happening in US real estate from an investor’s perspective. The clearest, most cogent look at the state of commercial, multifamily and single family markets today and where the opportunities are. The first five and a half minutes is about Europe and the bottom line there is don’t but after that it is all gold. If Tom wanted to be one of those real estate ‘gurus’ he could package this video with a big notebook and some advertising and sell it for $10,000- and it would be better than any of the other stuff out there. And you get it for free. I’ve watched three times and get an extra little nugget each time. Click on the image to view the Bloomberg video.